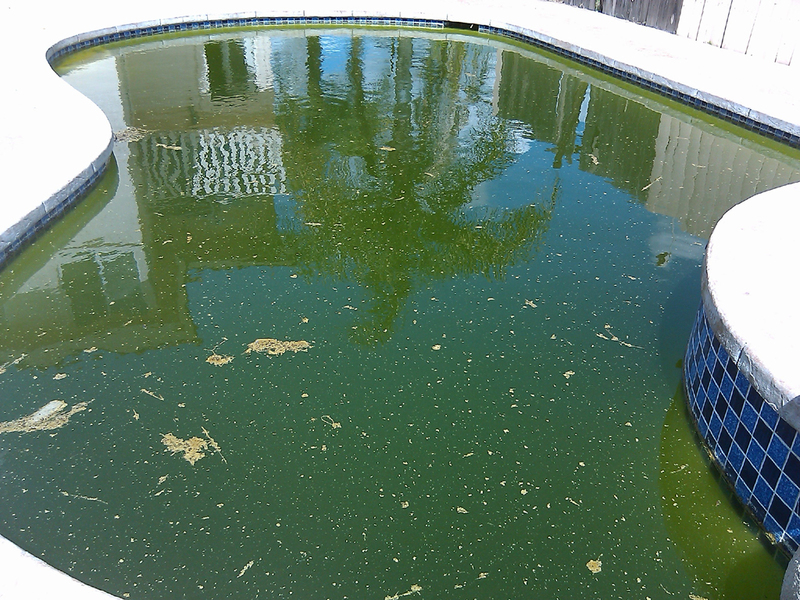 Go from green pool to clean pool with San Diego Poolman professional and thorough pool cleanups. Sometimes a pool goes green. Whether it’s from lack of attention or a pool equipment failure, we can clean it up in a timely fashion and get your pool back in shape. Cleanups typically involve a three step process. Cleaning out the debris, thoroughly cleaning out the filter system, and treating the water with an algaecide and adjusting the chemical balance. No matter how dirty your pool is, we have a solution to regain your water quality. See the above product photos for some of our pool transformations. No pool is too tough and we’ve seen a lot of dirty pools! Contact us for a free cleanup estimate!